Gov. Rick Snyder presented a proposed consent agreement to City of Detroit officials. Snyder wants to use a consent agreement rather than appoint an emergency manager to fix Detroit’s finances. Stephen Henderson is the Free Press’ editorial page editor and of “American Black Journal.” He spoke with Michigan Radio’s Jennifer White. “The whole idea of the consent agreement is about control and power, and this agreement would ask the Mayor and City Council to give up a lot of that,” Henderson says. According to Henderson, the there is no difference between the advisory board and an emergency manager. Both would essentially accomplish the same thing, which is to restructure the City of Detroit. Henderson says people should not only think about the politics behind this consent agreement. He says there is a real concern for people living in Detroit. The state's consent agreement plan was delivered to Detroit city council today. Among other things, it calls for the establishment of a financial advisory board that would oversee actions by city council and the Mayor. Detroit Mayor Bing does not like the plan, according to Detroit News columnist Nolan Finley. Earlier Monday, City Council member James Tate voiced this concern: "By no means am I pleased with what I saw." He and others declined to discuss specifics of what they had read. Council President Pro Tem Gary Brown, a staunch supporter of the need for a consent agreement, said he had some reservations about the executive summary he read. And the Detroit Free Press reports that some council members have asked their attorneys to review the proposal, "saying a consent agreement is unconstitutional and anti-democratic." Councilwoman JoAnn Watson went further, saying a consent agreement is like a death sentence to the city because elected officials lose power in the process. "In a consent agreement, you are consenting to your own demise. It's outrageous," Watson said. "Who puts a noose on their own neck?" Governor Snyder appeared on Detroit's WCHB Radio this morning and talked with Angelo Henderson about the consent agreement the state delivered to city leaders this morning. Snyder said the agreement calls for the creation of a financial advisory board that would advise and sign off on proposals put forward by the mayor and city council. "We would create a financial advisory board. Appointments would be made jointly by me, the city council, and the Mayor." Snyder said those nominated to the board would have the required "turnaround" expertise. The board would be vetted by the Michigan Association of CPAs. "It's not to run the city, it's to support the city. The mayor and council would still run the city," said Snyder. "There would be this additional review and sign off to make sure it's being done right." Snyder said Mayor Bing has been working hard to solve the city's problems, but he hasn't had all the resources he's needed. creating a positive vision for the city of Detroit - "let's build a better city," he said. When he was asked about privatizing certain departments like the city's lighting department or the transportation department, or the city airport, Snyder said the city should explore ways to "partner with others" to improve city services. Gov. Snyder said the state has increased revenue sharing with cities in the next fiscal year budget, but said more money is not the answer. "It can be in a situation where we're putting more money in a hole. We need to fix the basics in the city," he said. The deadline for the city to sign on to the consent agreement is March 28, "I'm concerned about hitting that deadline, that's why I'm happy to talk with you," he told Henderson. If the agreement isn't reached, the state could appoint an emergency manager to run the city. Detroit will go broke in the next couple of months, with a $45-50 million shortfall expected by early summer. One Detroit City Council member who saw an earlier draft of the consent agreement said he's concerned that too much power will be stripped from council. "I'm interested to see how it changes," Tate said. "I certainly don't believe there's going to be a vote on it (today). I felt under the gun when I came into office. I felt under the gun in November. I feel under the gun now. But we absolutely do have to get our finances together." "I'm sure there will be things in the document that I get to see (Tuesday) that I absolutely cannot live with," Brown said. "There will be things that I certainly will be willing to negotiate. And there will probably be quite a bit of it that I certainly agree with 100 percent." The Associated Press reports the state's consent agreement plan aimed at correcting Detroit's troubled finances has been delivered to city officials this morning. The plan includes privatizing some services. Councilman James Tate says the deal includes an advisory committee that would remove some power from elected officials. Tate says the consent agreement reads more like a "one-way edict." 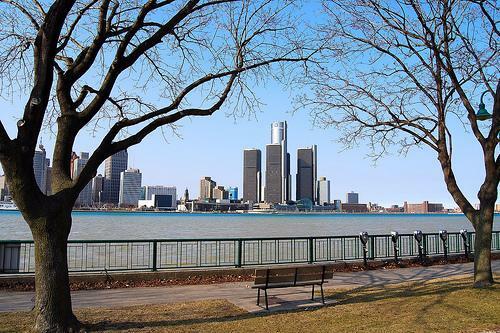 If approved, the deal could keep the state from appointing an emergency financial manager in Detroit, which faces a $197 million budget deficit. The Detroit City Council, Mayor Dave Bing and a 10-member financial review team were expected to assess the proposal. Council wasn't expected to vote on it Tuesday. 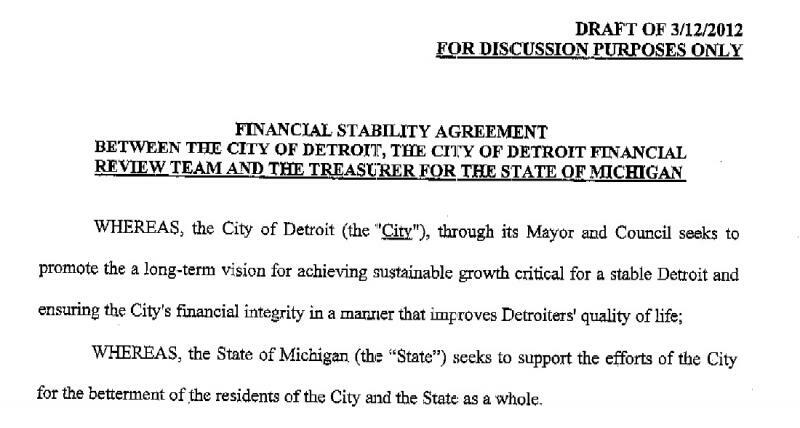 Snyder has said he prefers a consent agreement, which would allow Detroit to fix its own finances. 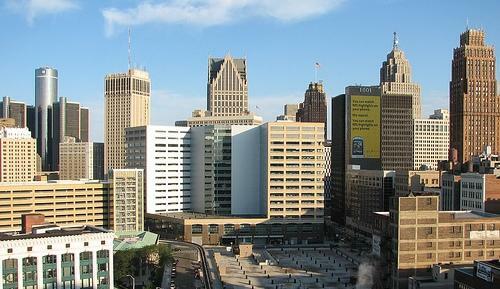 We’ve known for awhile that Detroit’s finances are reaching a crisis point. It’s believed the city could run out of money within the next few months. News broke yesterday evening that the Snyder Administration will try to remedy the situation. Governor Snyder will lay out details of a proposed consent agreement to members of the Detroit City Council today. A consent agreement would give the city’s elected officials broad powers… similar to those of an emergency manager. Bing unhappy, what do you think? 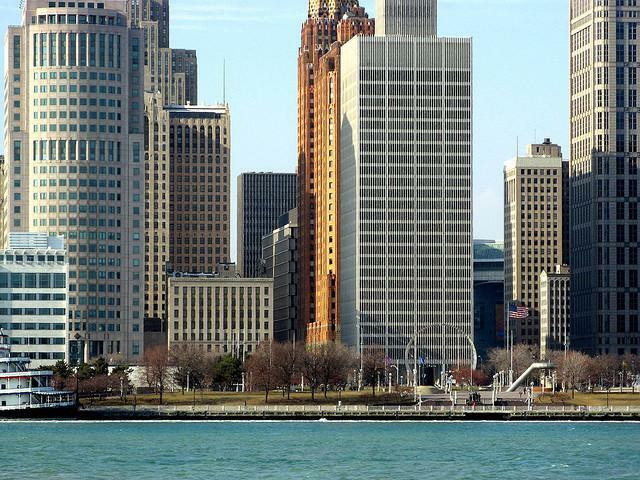 Should Detroit take the consent agreement deal? Gov. Snyder and state treasurer Andy Dillon delivered their plan to Detroit city council this morning to turn around Detroit's finances. The governor and Bing neared a deal after a productive meeting Friday afternoon, and Snyder hoped an announcement could be made Monday morning, when the pair were scheduled to appear jointly at the Pancakes and Politics breakfast. But the mayor wobbled Sunday night, apparently concerned about giving away too much of his power, and Snyder decided to shoot the puck. He called Bing before the breakfast, told him he was taking the deal to council, and the mayor decided to skip the breakfast program. Gov. Snyder said this morning that the city has until March 28 to decide on the consent agreement, after that, the Governor could decide to appoint an emergency manager to run things. "We have offered every opportunity for the city to control its own fate," he said. "There's no point in this being adversarial. … But we don't have forever as an option." So what do you think? You can read what others are saying about the consent agreement, or you can read a draft of the plan yourself and tell us what you think. Should the city take this deal?